The seventh general assembly of the EU-Russia Civil Society Forum convenes in Helsinki, Finland. Photo courtesy of the Forum’s organisers. 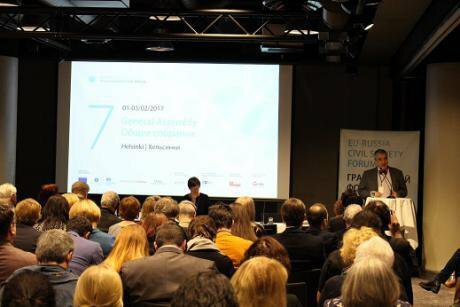 On 1-3 February 2017, the VII General Assembly of the EU-Russia Civil Society Forum took place in Helsinki. Around 230 representatives of member organisations, as well as observers, funders and journalists attended. The forum topics were relevant for Russia as well as for the EU and included global trends for nationalism and conservatism, modern conflict and its legacy, sustainable development and the reduction of poverty, as well as scenarios for the future of the Baltic States. oDR invited forum participants to reflect on the state of civil society in Russia. Alexei Kozlov (Solidarus, Berlin) and Sergei Tereshenkov (EU-Russia Civil Society Forum) joined us for this roundtable discussion. Polina Aronson: How widespread is civil activism in Russia now? And what can be defined as “civil activism” anyway? Alexei Kozlov: I’m a fundamentalist when it comes to these things. My background is in environmental rights movements and I have a hard time accepting the idea that any activity not related to government is civil activism, regardless of whether it involves improving something or resisting the state. I allow for this viewpoint, but there is this tendency – the government gets rid of its many responsibilities, and in some instances, civil activists, or some kind of organisations, pick up the slack. Look at the situation with volunteer firefighting. I support it as a solution to an extreme situation, but it shouldn’t be happening. The state needs to work on these problems. The state has to have its own, rather wide, sphere of responsibility, and we need to hold it to account. Because we can’t say, “Hey you, volunteers, why didn’t you get to Village So and So? It burned down.” Because we understand, they may not have the resources. But the state needed to send appropriate reinforcements there. There is this viewpoint that any volunteer initiative should be categorised as civil activism. But I think real civil activism is, in one way or another, connected to confronting the authorities, when we want something from them, and not when we fill a niche abandoned by them. I think that civil activism is when citizens demand – through pickets, petitions, campaigns – that the government tackle certain issues. Polina Aronson: In what spheres of activity is this kind of activism most visible right now? Alexei Kozlov: Take 2016 and the most timely figures. Because political civil activism is under a lot of pressure from the state, we see more activity where there is no pressure. It is protest that has to do with social guarantees, it is labour protest. Our colleagues involved in labour rights say that protest is growing. When it comes to activity related to human rights, to protection of the environment, is being repressed using harsh measures, the state has moved on from soft repressions to harsh ones: the attack on Greenpeace members, attacks for holding public events. You’re no longer dealing with fines or with getting fired – your life and limb are in danger, the relationship with the authorities is on a different level now. Polina Aronson: Right, so different methods of pressure are used on different spheres of civil activism? Alexei Kozlov: Obviously. You could see how repressions against trucker protests grew harsher. At first the authorities did not expect them to act. They have their own view of who takes to the streets and how they’re to be dealt with. Suddenly you have simple truck drivers protesting, and it was unclear, what was to be done with them – there’s lots of them, they have big vehicles, they have the rudiments of solidarity. Then the authorities decide – let’s treat them like we treat everyone else. We’ll fine them, stop them, there will be preventative arrests of the leaders. This group was targeted using existing schemes. This is what will possibly happen to social protest – but it’s not happening yet. 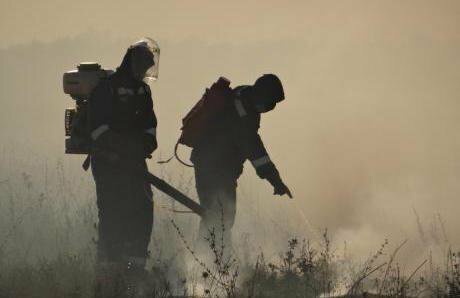 Civil society in Russia: fighting small fires, or getting to the root of the emergency? Photo: VK / Environmental Watch on the North Caucasus. Some rights reserved. Polina Aronson: What are the most effective means that civil activists have for engaging the authorities now? Alexei Kozlov: Unfortunately, there are almost no effective methods right now, because protest is almost entirely criminalised and can results in big problems for participants – fines, prison terms, and so on. So people are looking at this situation in terms of costs, and mostly decide to either do nothing, or to do something that won’t be dangerous but will not be effective. For example, petitions are very popular now. In 2012-2013 the authorities noticed them, but now petition drives have no real significance. For the people it’s just a way to express a viewpoint that won’t result in immediate punishment. Finding your own methods is an individual task. Environmentalists now do all they can – from real blockades to expert reports. Perhaps now is the time for expert reports because the number of people who will go out into the streets is limited. And if every one of them is fined 100,000 roubles the first time, and 300,000 roubles the second time, you will run out of people. So I must state that the government has gotten what it wants: street protest is criminalised and has almost disappeared. Polina Aronson: Some experts, such as Igor Kochetkov from the St. Petersburg-based Vykhod organisation, think that street protest is ineffective, and the only way to push back against the authorities is to break the law. What do you make of that? Alexei Kozlov: When it comes to freedom of assembly, I would argue the opposite – follow the law. We see the authorities breaking it. The right to a single-person picket is denied, people are detained at sanctioned events, events are not sanctioned, or canceled – these tactics are not legal. The same is applicable to the law on gay propaganda. It’s obvious that this law should be ignored. Yes, there can be fines, but when we look at Roscomnadzor directives, which say that the very existence of the LGBT community is propaganda, it becomes obvious that the law should be ignored and be publicly, openly spoken about as such. The slogan, “I’m a person, not propaganda” corresponds to this situation. 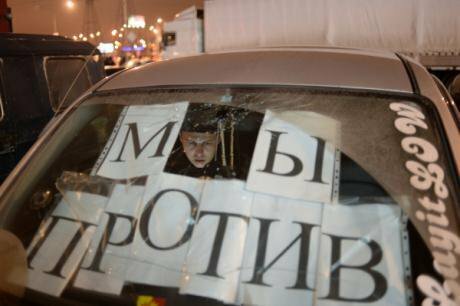 A face from Russia’s truckers’ protest, which saw hundreds of long-distance drivers descend on Moscow, enraged at a new toll tax system. (с) Grigory Sysoev / RIA Novosti. All rights reserved. Polina Aronson: I think we’re circling back to the beginning of our discussion, to the topic of political and civil activism. 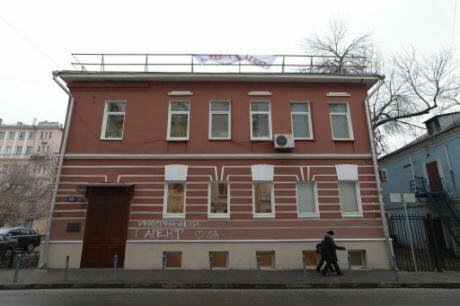 Is civil activism with no political overtones even possible in Russia? Alexei Kozlov: There is some confusion here. There is no political civil activism. There is civil activism, and there is political activism. The latter is directly related to the redistribution of power. So if we take to the street and demand the government resigns and offer our own candidates to their positions, that’s political activism. When we take to the streets and demand that the law is followed or that a law is changed, the authorities want to call this political activism – but in reality, that’s not the case. For example, I don’t care who’s president, Putin or Medvedev – I care about the law on freedom of assembly being followed. This is the watershed moment. If we say, let’s get rid of the bad guys and install good guys, here’s our party – that’s politics. In Russia, the problem is that the authorities want to equate all NGO activity to political activity, just like the law on foreign agents says. If you study public opinion, or if you hold any public event, you’re now political. So any activity citizens take part in could be called political, outside of maybe charitable activity or sporting events. If you study public opinion or hold any public event, you’re now political. So any activity citizens take part in can and is called “political” - and therefore suspect. I think these spheres of activity should be separated, like they do in Europe. You have politics, elections to the Bundestag, to the European Parliament, and everything else is a concern for the citizens and has no relationship to politics. Polina Aronson: Is there any sector of civil society that is not politicised and can do its work without directly confronting the authorities? Alexei Kozlov: To be honest, I don’t see one. You have the opposite taking place – you have volunteer firefighters. How does the government respond? Tries to give them government status. So they attempt to regulate and control initiatives. Here it’s hard to imagine activities that are separate from the government and, at the same time, successful. Sergei Tereshenkov: There are some organisations that can work without direct confrontation. But in Russia, you never know when your activities will be noticed by the authorities. For example, there were many initiatives for improving cities, in support of a comfortable environment – and one day, the government decided to put itself in charge of that process. A conflict between civil activists and officials began. At the same time, in the Urals region, in Siberia, there are many urban improvement projects, and some have government support. In Tyumen for example, they have a lovely portal, where you can file a statement about a violation, and the authorities have to respond within a certain timeframe as stipulated by law. Or look at civil education. We recently had a forum, Schools and NGOs – Bridges to Cooperation in Krasnoyarsk, around a hundred people from all corners of Russia attended, teachers and school heads and NGO representatives, and they spoke about the education process and its informal aspects. The problem is, the laws – even those we don’t agree with and consider unjust – are applied selectively. If unjust laws were applied to everyone in the same way, you could do something about this. Alexei Kozlov: The Andrei Pervozvanny Fund, for example, should be a foreign agent in this sense. Then it would be fair! Sergei Tereshenkov: There is a certain number of organisations, that register themselves as foreign agents, and nothing happens to them. They cooperate with the government and they do well. Only certain organisations, that displease the government, are discriminated against. “Foreign Agent” graffiti on an NGO’s offices. (c) Ivan Sektareva / AP / Press Association Images. All rights reserved. Polina Aronson: What does one have to do to displease the government? Is there a secret to it? Some kind of criteria? Alexei Kozlov: It’s completely unclear. For example, they create some framework or law, like they did with volunteer firefighters. That’s when the citizens who buy firefighting supplies out of pocket are told, “No, you’re doing everything wrong, you have to register, you have to do this, you have to do that!” But if you really want problems, then you have to get involved in human rights, especially when it comes to agitating against torture, or LGBT rights, or specific environmental issues, like nuclear power. That’s when you’re asked, maybe you’re a foreign agent? Or a spy? That’s how you ruin your relationship with the government. There is also the separate issue of Ukraine – that’s where it’s very easy to get severely punished right away. Sergei Tereshenkov: I spent three years working in the civil sector in Perm, and we experienced how repressions start with our own organisation, even though we were involved in civil education and awareness. When it comes to urban activism, they’re having problems as well. For example, the residents of one building by a river start cleaning up construction waste and improving the territory. They created a Nightingale Garden there, because they really do have nightingale nests and other nests there. But they keep running into resistance. First the authorities didn’t pay attention, then they helped, but now business interests are at stake, so the landowner has built a fence. The residents are fighting it, what choice do they have, this is their environment. The realisation that you can’t rely on the mercy of government officials, that you have to take matters into your own hands, has certainly arrived. Even in the provinces. Business can also run into problems. I don’t think Evgeny Chichvarkin, for example, thought he’d need to leave the country when he was creating the Evroset store frnachies. You never know when your small business grows enough to the point of someone wanting to take it. But if you want to talk about positive stuff, the conscious realisation that you can’t rely on the mercy of the government and officials, that you have to create your own environment, has certainly arrived, and not to Moscow or St. Petersburg, but to the regions as well. Polina Aronson: What role does membership in the EU-Russia Civil Society Forum and participation in its assemblies play in your work? Alexei Kozlov: For me, the idea of the forum is such where Russian regional organisations – which is very important – can meet up with European organisations and find common ground. The forum is a platform where you can discuss anything without fearing repressions. In modern-day Russia, the very act of jointly creating documents and resolutions is almost impossible. The forum gives civil society the chance for practical cooperation. For us, an organisation located in Germany, it’s important to know how we can help NGOs in Russia. Because you have arrests and “foreign agent”-style denunciations, but people still want to work, no matter what. We have to find ways of supporting them in what they need. Civil society is all well and good, but is it always liberal? Read Mikhail Kaluzhsky’s thoughts on how Russia’s ultraconservatives have mastered its language and rhetoric – to worrying ends.